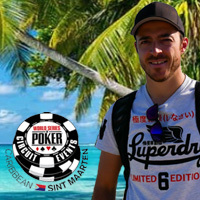 As five online satellite tournament winners get ready for their trip to the CPT Punta Cana in just a few weeks, another satellite series has just begun at Intertops Poker and Juicy Stakes Poker and this one will send the winner to Italy for the WPT Venice National in December. 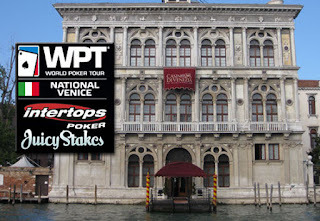 The WPT National Venice will be played at the oldest gaming establishment in the world, the luxurious Casino de Venezia. The tournament begins December 4th and the Final Table will be December 7th. Step 1 tournaments in the three-tier series begin today and continue until October 17th. You can buy-in at any stage or win your way to the Final to be held Sunday, October 18th at 1:00 pm Eastern. The winner gets a $2200 prize package that includes €990 buy-in to the WPT National Main Event, four nights premium accommodation in Venice, and $500 to help with travel expenses. Enter these tournaments at either Intertops Poker or Juicy Stakes Poker. The winner of another online satellite tournament series last spring competed in the WPT Venice in April. Lukas W, a 28 year old civil servant from Germany, enjoyed his trip to Venice but was eliminated early in that tournament.